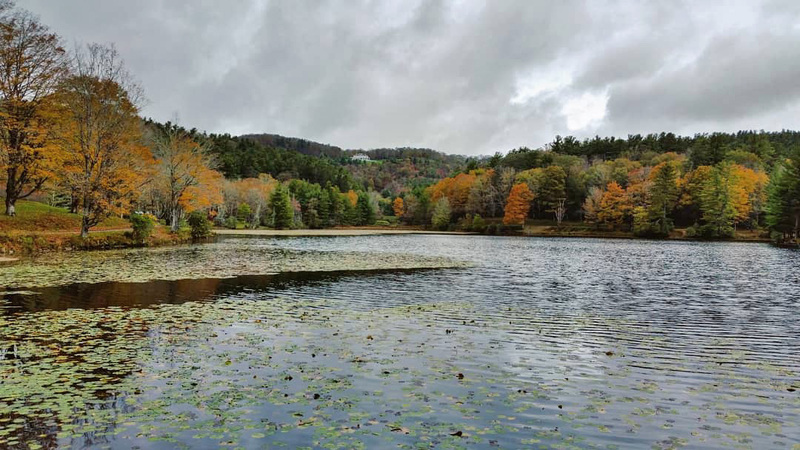 Bass Lake is always one of the prettiest places to enjoy fall color. The old maples that line the trail provide color overhead, and then fill the path when the leaves fall. Today’s view isn’t dampened at all by the overcast skies.